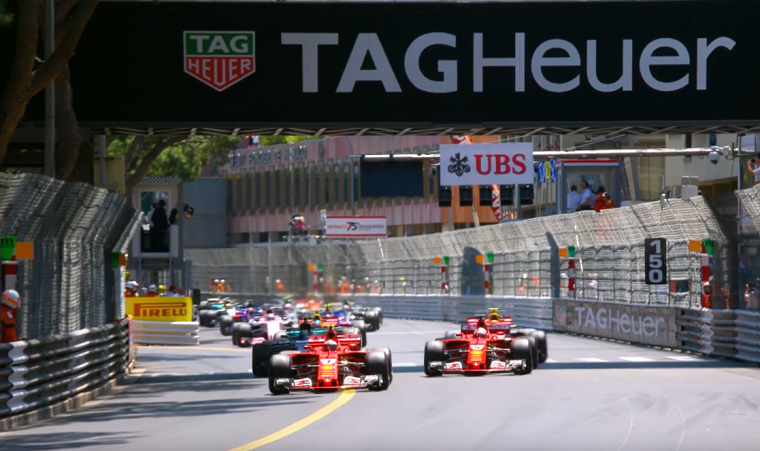 Despite my exhaustion, I watched the 2017 Monaco Grand Prix immediately after coming home from the Indy 500, having had an inkling from social media, but no details, that some controversial event had taken place. What event that would be was somewhat predictable. During Saturday qualifying, Ferrari’s Kimi Räikkönen had taken pole position at the track where pole position usually guarantees a win. But there were many questions as to whether Ferrari would actually want Räikkönen to win—after all, his teammate Sebastian Vettel is the team’s best shot at winning the driver’s championship. Should Ferrari somehow engineer a swap between Räikkönen and Vettel—or worse, give the former orders to let the latter through—there would be a huge negative fan response. Even though team orders are allowed, it goes against the perceived purity of racing. Ultimately, though, nothing could have satisfied the fans other than a Räikkönen win. Ferrari pit him first, as is usual for the leading driver, to cover off Valtteri Bottas, who had pit the lap before. Vettel then strung together several blistering laps faster than even Räikkönen could manage on fresh rubber, after which he pit and came out in first place. Many fans were furious, saying Ferrari had intentionally helped Vettel overcut Räikkönen. Yet had they pit Vettel first, he would surely have put in blistering laps anyway and still come out ahead. In that case the fans would have complained that Ferrari had helped Vettel undercut Räikkönen. At the end of the day, Vettel was simply faster, though Räikkönen’s speed was visibly dampened when he saw he had been beaten in the pit phase. But some people will call team politics whenever they can. It reminds me of the early 2010s, when Red Bull was constantly accused of favoring Vettel over Mark Webber when it came to strategy; in reality, it was because Vettel was typically so much faster than his teammate that he made the strategy he got work out for him. 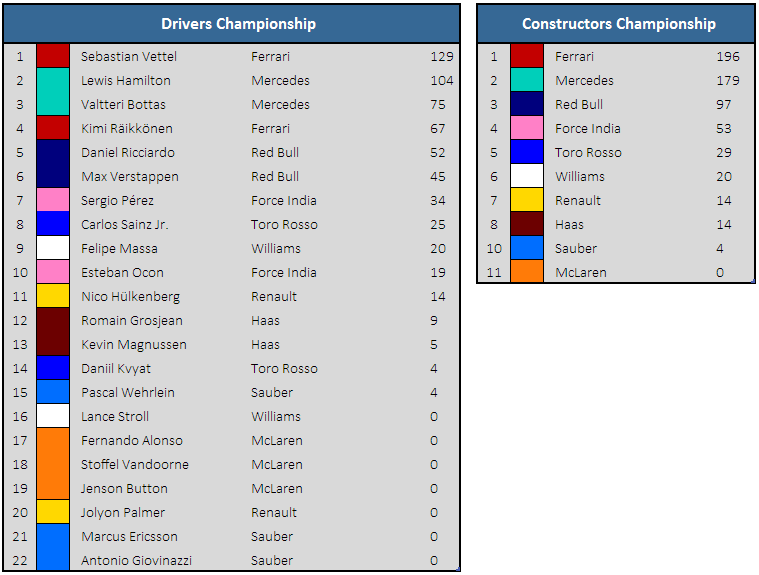 Anyway, Ferrari got the result it wanted: its first one-two finish since the 2010 German Grand Prix, with Vettel extending his lead in the driver’s championship over Hamilton, who could muster no better than 7th after starting 13th on the grid. 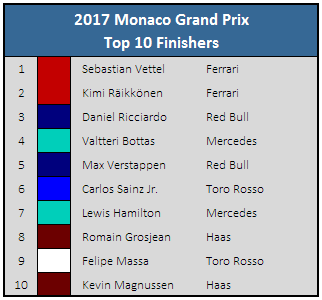 Not much else of note took place in Monaco, save for an overcut that also worked in Daniel Ricciardo’s favor and allowed him to jump both his teammate and Bottas to claim a spot on the podium. It was only the bottom step, but he seemed decidedly happier than when he was on it last year. Overtaking was as difficult as everyone had predicted. The larger cars and bigger turbulence effect made it hard for drivers to closely follow each other and impossible to pass. Whenever someone attempted a pass anyway, it usually resulted in a crash. It was a lot more fun at the Indy 500. 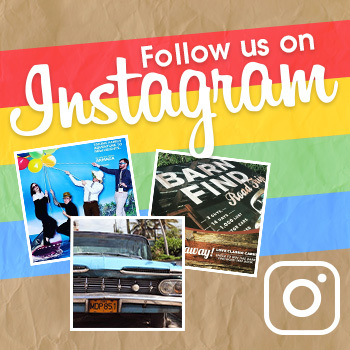 Buying a Used Car: Why do it?